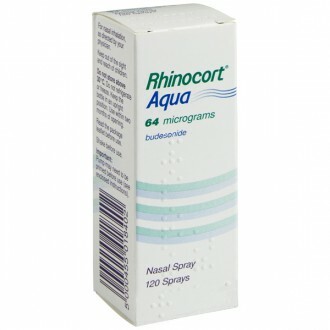 Flixonase aqueous nasal spray will effectively treat and prevent allergic rhinitis. 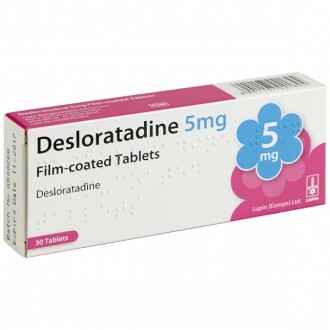 Its active ingredient is a corticosteroid called fluticasone propionate, which has an anti-inflammatory action. It effectively treats both seasonal and year-round allergies. 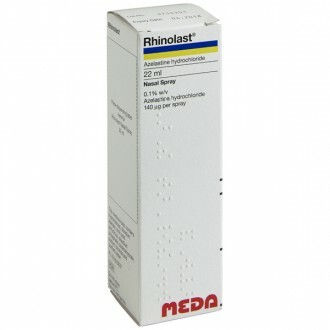 Allergic rhinitis is caused by a hypersensitive immune system. When a harmless allergen enters the nasal passage, the immune system rejects it, believing the allergen to be a dangerous invader, such as a virus. To guard against this phantom infection, the body will start to produce excess mucus. This is what causes the symptoms of allergic rhinitis. These symptoms include; nasal itching, sneezing, watery nasal discharge, and a sore throat. Allergens most likely to trigger a bout of allergic rhinitis are; pollen, pet fur, dust mites, and mould spores. Why certain people develop this hypersensitivity is not completely understood. However, people seem to be more susceptible if there is a family history of the condition. This would suggest that genetics can play a role. Allergic rhinitis is a very common complaint. In The UK it affects 20% of people of all ages. Fortunately for most, the condition doesn’t pose any danger to your health. However, the symptoms can become quite debilitating, severely inconveniencing a sufferer’s day-to-day life. In rare cases, allergic rhinitis can lead to sinusitis or a middle-ear infection. Allergic rhinitis is not curable. 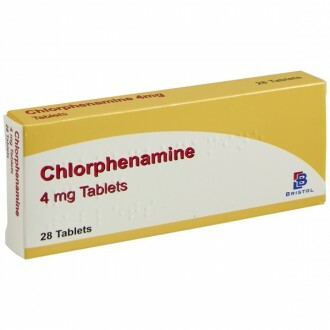 However, its symptoms can be effectively managed with the appropriate treatment. 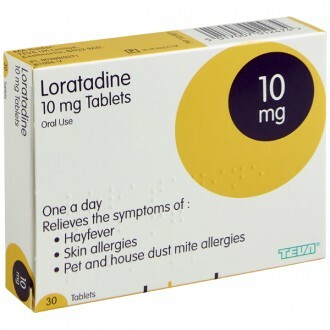 Using a corticosteroid, such as Fluticasone, will inhibit the immune system’s inflammatory response to allergens. 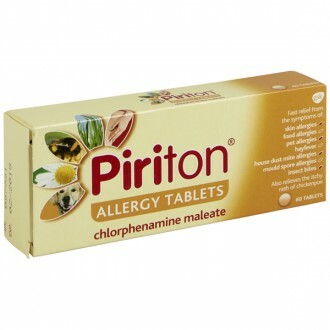 This action prevents allergy symptoms from developing. 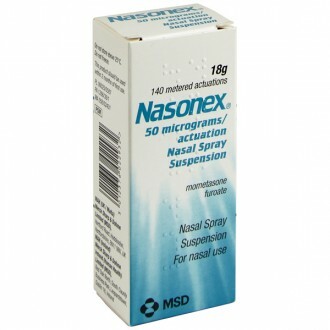 Unlike other allergy nasal sprays, Flixonase can also relieve eye-related allergy symptoms. 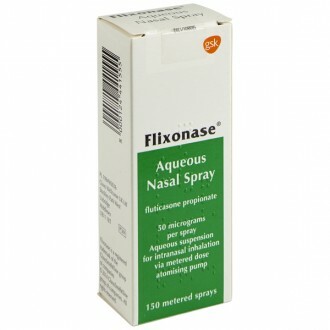 Flixonase nasal spray will take a few days to achieve its full effect. So, if possible, commence treatment a few days prior to coming into contact with allergens. Because Flixonase takes a few days to reach its full effect, begin treatment in advance of when you will come in contact with allergens, if possible. 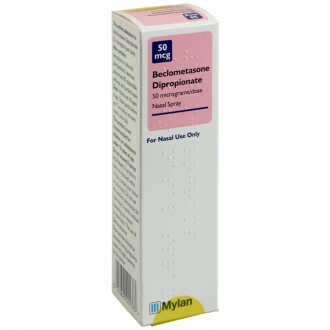 The recommended initial dose is two sprays per nostril, once daily. Depending on the severity of your allergies, this dose may be increased or decreased. It should not exceed two sprays into each nostril twice per day. Always use whichever minimum dose will ease your symptoms. Cellulose microcrystalline, carmellose sodium, glucose, polysorbate 80, purified water, benzalkonium chloride, phenylethyl alcohol. Flixonase may be unsuitable for you if you have an infection in your nose, or if you have recently undergone an operation on your nose. How do I buy Flixonase online? You will need to fill in a simple health questionnaire so that our GPs and Pharmacists can ensure it is safe for us to supply your Flixonase to you. It only takes a few minutes, and your treatment can be delivered to your door as soon as the next working day. How many packs of Flixonase can I buy in one purchase? 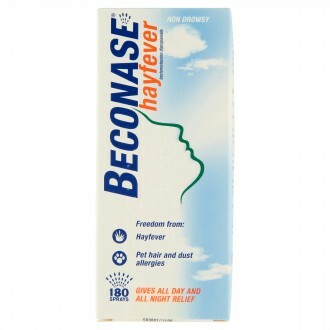 Flixonase is a prescription-only hay fever treatment. For that reason, to ensure the safety of our patients and the legal operating of our pharmacy, we only supply a maximum of 3 packs of treatment at one time. 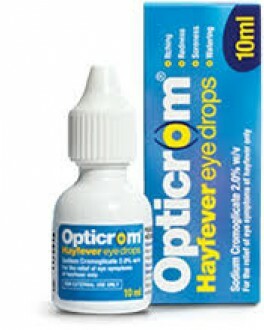 If you suffer no adverse effects and your hay fever is well controlled, you can log in and easily re-order another supply. Each use (or actuation) of Flixonase releases 50 micrograms of fluticasone propionate. It also contains several inactive ingredients. For more details, please see the ‘Ingredients’ tab above. The corticosteroid is absorbed into the walls of the nasal passage, which inhibits the immune system’s inflammatory response to allergens. 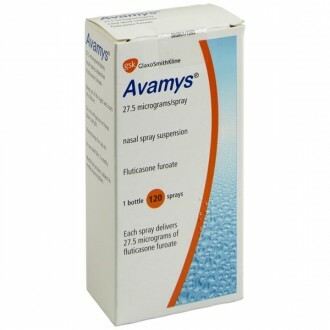 This prevents unwanted allergy symptoms from developing. Flixonase provides relief of allergy symptoms for 24 hours. 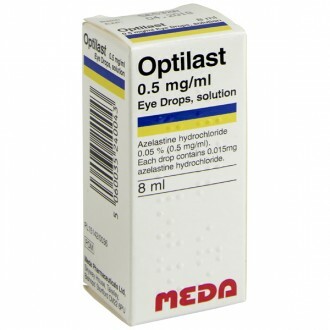 Is it safe to use a nasal spray at the same time as oral antihistamines? 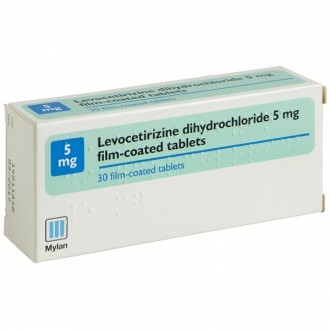 Yes – it is very common to use both treatments simultaneously. However, do not use multiple steroid nasal sprays at the same time. 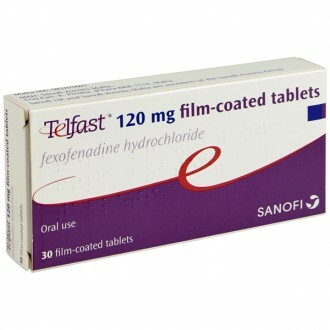 How is Flixonase different from an oral antihistamine? 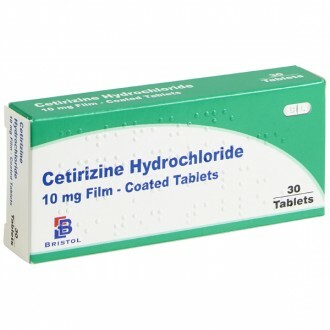 Antihistamine tablets block the effects of histamine. However, this is only one of six chemicals released by the immune system in response to allergens. Flixonase blocks each of these six chemicals. It also combats these nasal symptoms at their source. Is Flixonase available for next-day delivery? Yes – we understand that sometimes you will want your treatment as soon as possible. If ordered before 4pm Monday to Friday, Flixonase is available for next-day delivery. Is it safe to buy Flixonase online? Yes – as long as you are buying from a website that is a legally operating and regulated pharmacy, it is perfectly safe to buy Flixonase online. 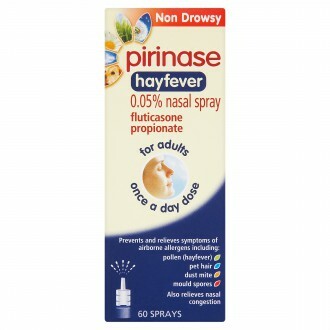 All of our hayfever treatments are supplied by the same UK-based wholesalers used by the large high-street chains such as Lloyds and Boots. What are the advantages of buying Flixonase online? A wealth of information - we provide all the information you could need on Flixonase and other allergy treatments, in easy to digest formats, at a time that suits you. 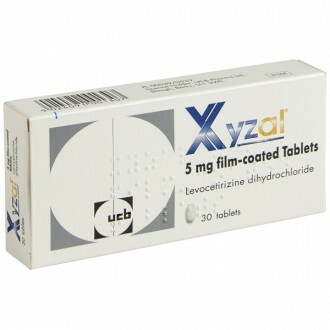 I normally get Flixonase from my doctor – why should I buy it online? Flixonase is available on the NHS from your GP if you have been diagnosed with breathing problems due to allergies. This is normally where we suggest people start their treatment, to ensure that their condition is properly diagnosed and any possible serious symptoms are addressed.